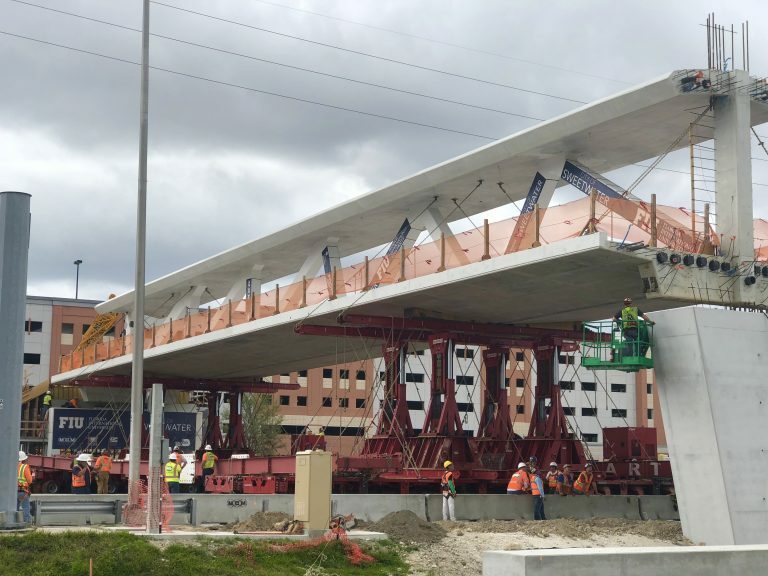 A brand new pedestrian bridge at Florida International University in South Florida collapsed for an unknown reason Thursday afternoon, crushing several cars waiting at a red light. An undisclosed number of deaths and injuries occurred, according to police. Search and rescue found eight vehicles trapped under the weight of a 950-ton bridge and stated rescue efforts will continue into the evening. The bridge was touted as a first-of-its-kind quick assembly project. The portion that collapsed was complete in several hours on Saturday morning from a temporary support system. 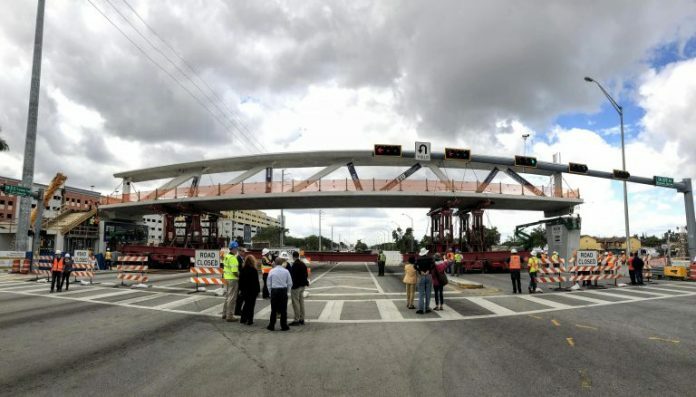 The 174-ft walkway was supposed to withstand hurricane-force winds although it appears only the beginning phases of the project were complete at the time of the collapse. The bridge was not open to the public. Project completion was estimated for January 2019. The $11.4 million bridge was meant to connect the school to the city of Sweetwater as part of a $124 million expansion of the campus. The National Transportation Safety Board stated it would send a 15-person team to investigate the collapse. UCF and its students have long considered a pedestrian bridge that crosses N. Alafaya Trail at the University Blvd. intersection for the same reasons FIU constructed its own bridge: pedestrian safety. The tragedy at FIU will certainly draw attention to any plans in progress. Knight News will reach out to UCF News & Information for more on any plans or potential changes in a campus pedestrian bridge.